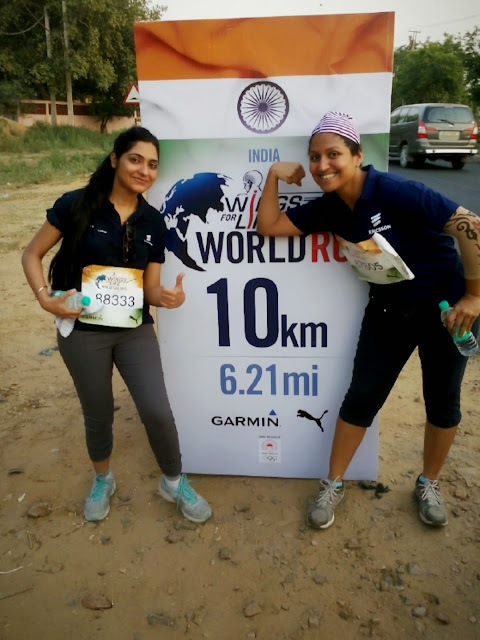 WandersandWords: Wings for life World run 2015!!! Wings for life World run 2015!!! 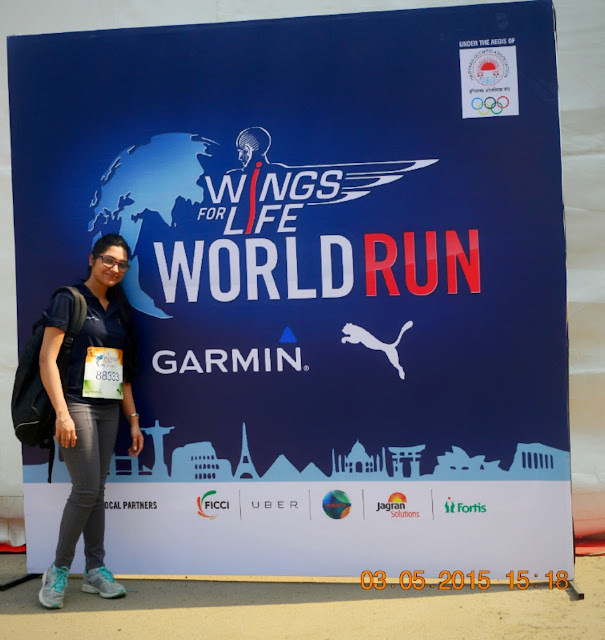 Wings for Life Run 2015 – Run for those who can’t! Event: Red Bull presents - Wings for life run 2015 – Run for those who can’t! Red bull presents – “Wings for life run 2015” in which 35 countries have participated with full of enthusiasm. Thousands of athletes set off simultaneously on May 3rd at 11am UTC in a global race. Their only goal is to stay ahead of the catcher car and to help fund research in finding a cure for spinal cord injury. 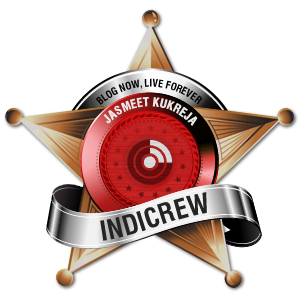 I am thankful of my organization who gave this opportunity along with 21 other employees who met and grouped together to make this event even more special. It was like whole world was running together, for the good cause. Captured the feeling of proud and moment of satisfaction that we were running not to win but for the good reason. I was one of those proud runners who ran for this cause. It was fun filled too when you have to run ahead from the catcher car and crowd is turning their heads to shout , car is coming, car is coming, Run fast! No matter what, every individual was running with full of enthusiasm. I saw a man with artificial limb. That moment was really speechless and touching. It is well said - "People with a strong "will" always get a way to win every situation. A satisfactory and great day and at the same time tired too because when you run after so many days, it feels like your clutched and jammed body has taken the fastest gear after ages.An amazing event to remember always!